Located in the Italian region of Liguria, Cinque Terre is comprised of five small coastal villages: Riomaggiore, Manarola, Corniglia, Vernazza and Monterosso. I had the chance to take a day trip to this beautiful place with my friend, during my four month stay in Italy. Although it was towards the end of October, it was still very warm outside. It is not that difficult to travel to this place from any of the main cities in Italy. We took a 3.5 hour train from Milano to Monterosso. 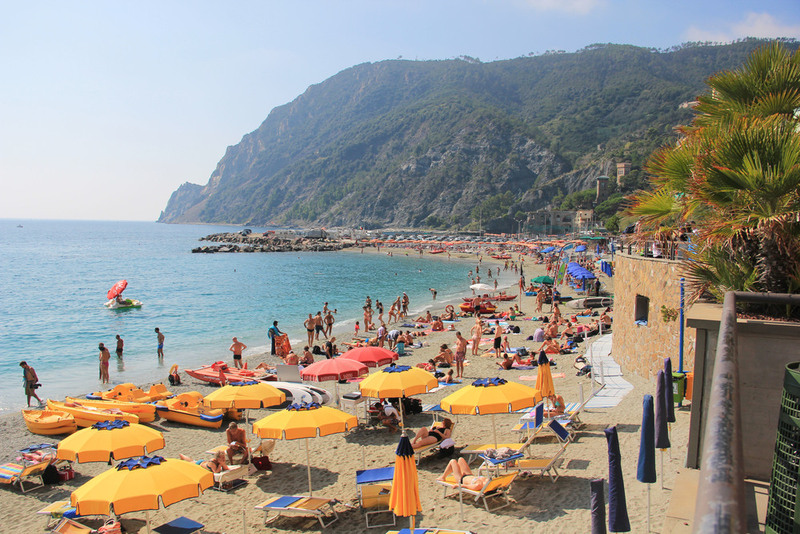 Monterosso was more of a resort town with lots of hotels and rentable beach umbrellas. We spent our morning frolicking through beach-side restaurants and number of boutiques in the old town. The villages are well connected by rail and each of the villages has a train station so we took a train to Vernazza for lunch. There was also an option to walk to the next village, but if you know me you know that I am not about that life! 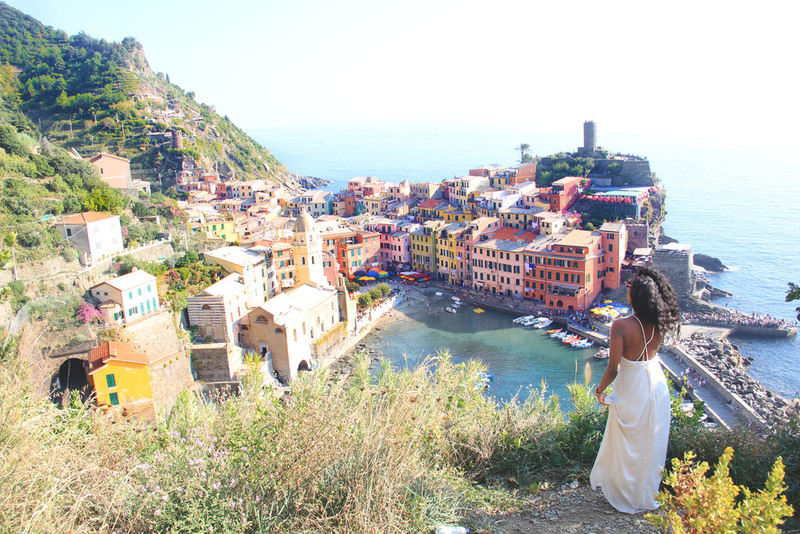 Plus I was not trying to sweat before taking my pictures :) Vernazza is a breathtaking beautiful cliffside village. I felt that it was more picturesque than Monterosso and it looked more like the pictures of Cinque Terre that I had previously seen. I wish I had more time to soak in the scenery and visit more of the villages but I know I will be back for round two. 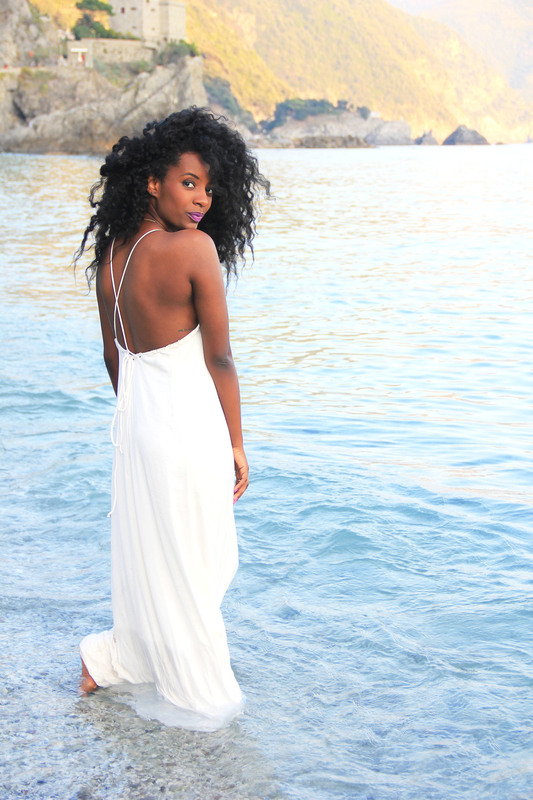 If you plan on visiting Italy in the near future, I highly recommend visiting Cinque Terre. P.S. For an easy voyage through Italia, you can buy your train tickets here.